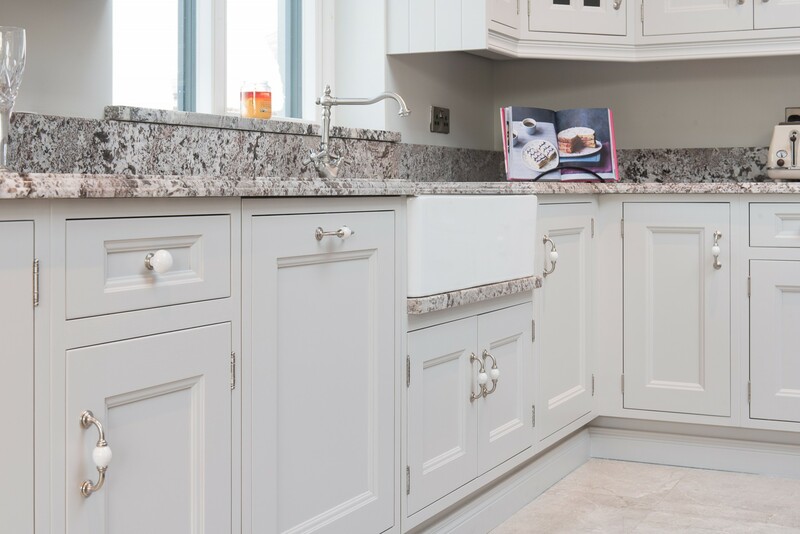 This stunning in-frame kitchen is an elegant and classic design. 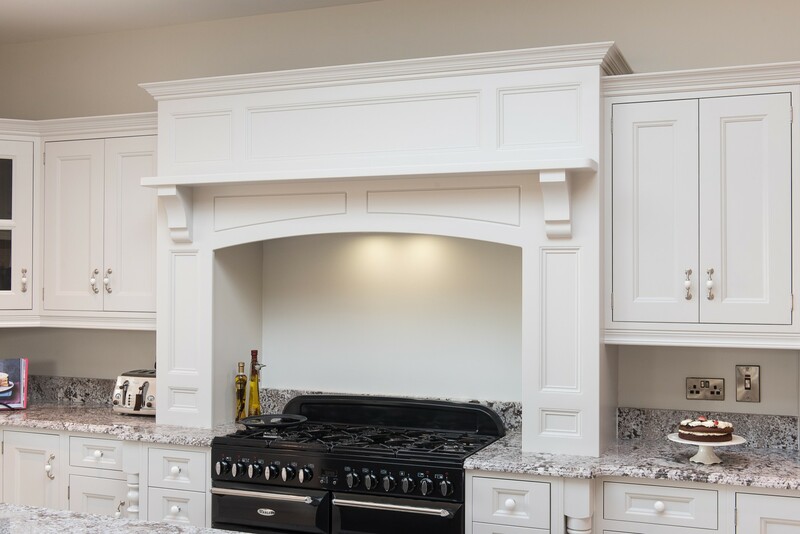 It is hand painted tulipwood with a flat panel detail and a feature overmantle painted in Farrow & Ball Cornforth White. 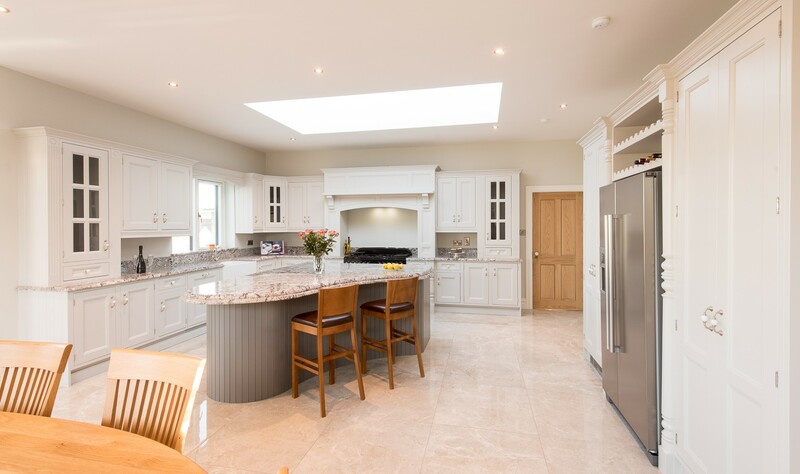 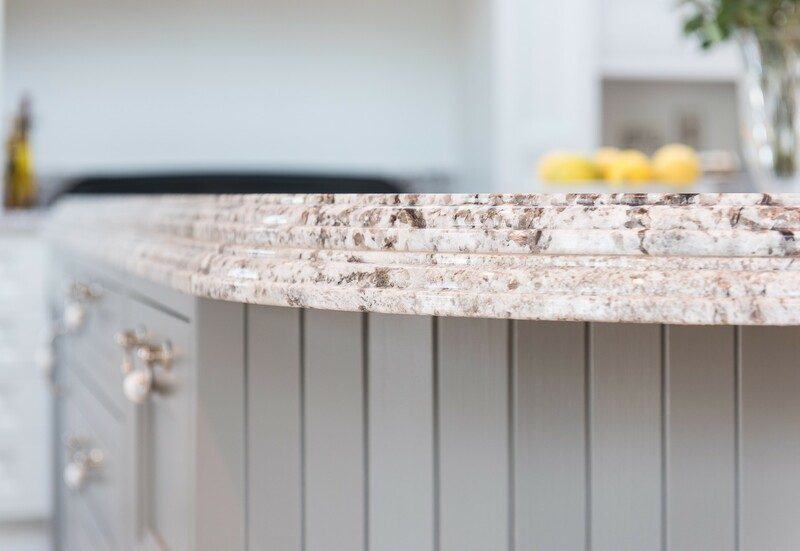 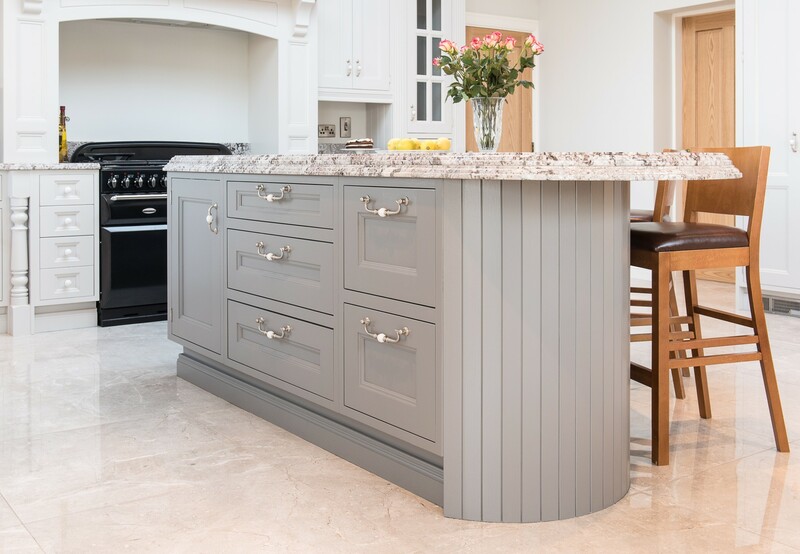 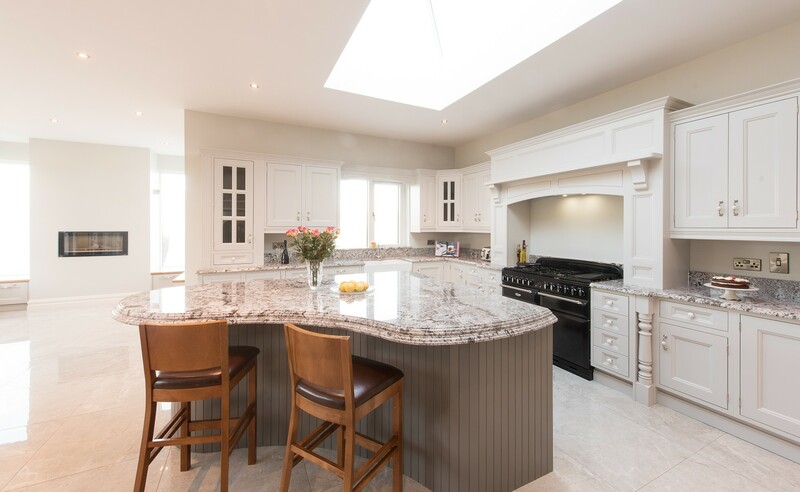 The beautiful curved Island is painted in Mole’s Breath with a 60mm detail on the Sensa Granite worktop.